The monogram label stencils are easy to use which can used for embossing or cutting to create your own gift tag. Place a letter or picture in the center of the tag. Fun and easy to work with the metal stencils are about 2.5 x 3.5 inches in size. These dies will fit in all brand name embossing and die cutting machines. 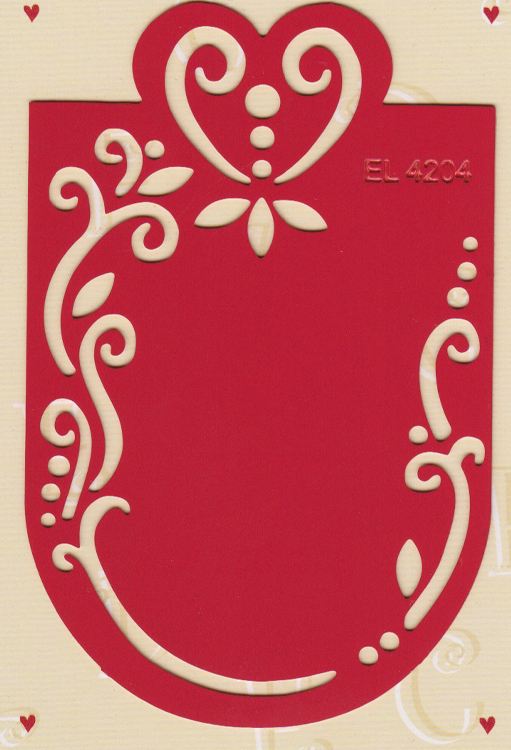 These stencils can be embossed and then you can cut the labels directly along the template or trace around them and cut. These dies make great gift tags on their own. Add them to gifts as is and they are both a gift and a tag.